I've managed to acquire an IBM 5155 a few weeks back from GCARD. Thought I'd post my findings and progress with fixing it. It suffers from the ol' explodey tantalum capacitor illness, so far it's popped 6 of them. 2 on expansion cards, 3 on the motherboard and 1 on a floppy drive. I've left the CRT unplugged while I work on it for now just as a safety precaution, so I don't know if it works as of yet. The 5155 has only had an accumulative power on time of maybe 20 seconds over 10 on-off cycles since I got it. First up is sorting out the power supply. It works, and puts out the right voltages. However, when I opened it up to preemptively change the line filter caps and electrolytic caps, I found the PCB was riveted onto the case. To save time, I'm thinking about taking out the old IBM PCB and fitting a newer ATX switchmode PSU board in there instead. I'd need to rummage up an ATX 1.X PSU as the newer 2.X ones don't have a -5v line, only a -12v line. In terms of what expansions were in the 5155, there was the standard video card, a fully populated SixPakPlus, and two serial/parallel comms cards. Last edited by Clym5 on Sat Dec 31, 2016 2:14 pm, edited 3 times in total. 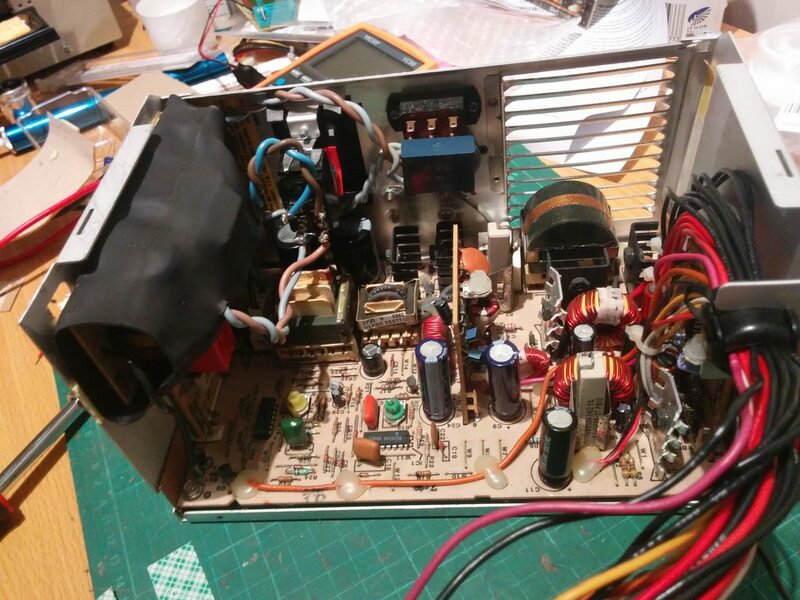 I've decided to repair the old power supply with all new capacitors. I may still experiment with using an ATX 1.X or modifying an ATX 2.X power supply later though. 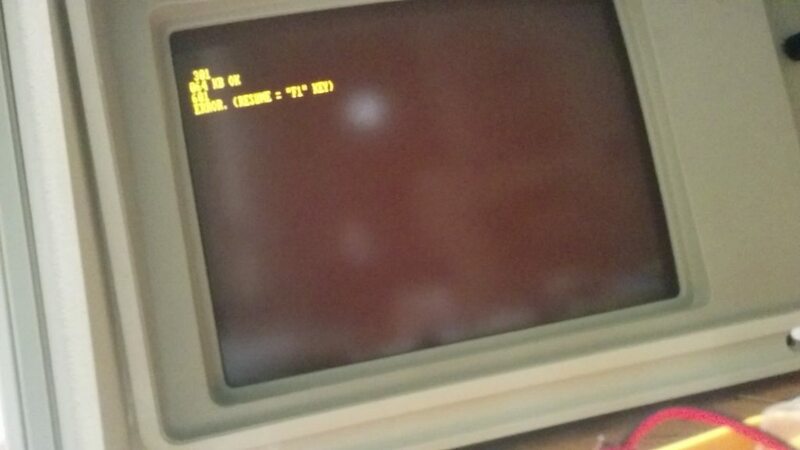 I recently got an IBM 5155 up and running too. Mine has had heavy use but in great condition with all the original books and carry case etc. I had the same issues with tantalum capacitors. I also noticed that the panels for drives or covers are slightly smaller than normal - worth noting if you ever planned to switch drives, replacements may need a little shave. One quick other note though - make sure to order capacitors from reputable suppliers (element14, digikey etc). 10uF - oh you mean 15uF? Oh look this one reads 11! make sure to order capacitors from reputable suppliers (element14, digikey etc). All the caps I've ordered have been through Element 14. Panasonic and Nichicon caps. I've had some fun times trying to figure out why something works worse after reacpping! I'm going to have to put a new cable on the keyboard as the cable there has melted itself together and developed a layer of sticky residue on it. And regarding removing tantalum caps, how strongly do you recommend replacing the blown ones? Or just remove them and leave it? For the tantalum caps that are just used as power filters (usually for the ISA bus) I generally leave them cut-off unless the system or a specific device is actually having a problem. I try to avoid de-soldering components from those boards unless it's actually necessary. Do you ever need to open a computer back up to remove tantalum capacitors that have failed after initial repair? Say, a few weeks or months after it being fixed? I really don't want to have to take out the motherboard from the 5155 again! Currently waiting on capacitors for the power supply. ~20 that are getting replaced. There is no real way to be sure but for me I found they tend to generally occur around the same time and then whatever is left keeps working. However I've had two exceptions - IBM PS/2 Model 50Z and my 640KB IBM 5160, both needed reopening months or years later. That's what I've done on two that failed, yeah. Luckily I've found the 5155 a dream to work on compared to the T3200SX and such so if I need to open it back up ever, not too much of a hassle. Quick progress update, replaced the fan and recapped the whole power supply, even the caps that tested OK for ESR and capacitance. Still don't want to risk anything. Tested that it wouldn't go pop, and then plugged it into the 5155 motherboard so it'd see a load and start up. And it works! Motherboard didn't go pop, nor did the power supply. I even got the right POST beeps out of it! Still yet to connect any drives or expansion cards/video to it. 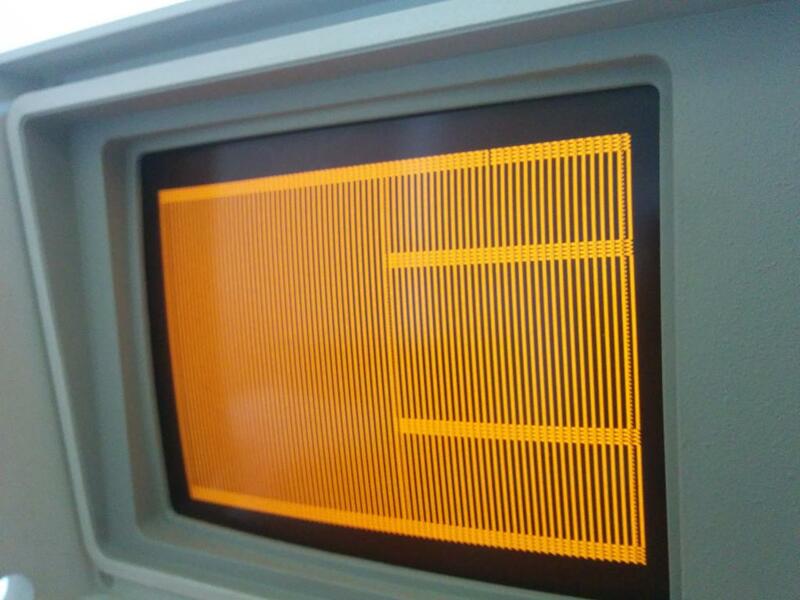 Directly next to the 8088, there's a spare slot. I'm guessing a 8087 goes here? Would it be worth looking around for a 8087 for it? Good news! I put the power supply all back together in its box, plugged the CRT in, motherboard in, and the CGA card in, and wala, zip nada. Had a quick test of the CGA card for dead tantalum caps, found one shorted, removed it and tried again. So now I'm going to test the expansion cards, and revive one of the floppy drives. 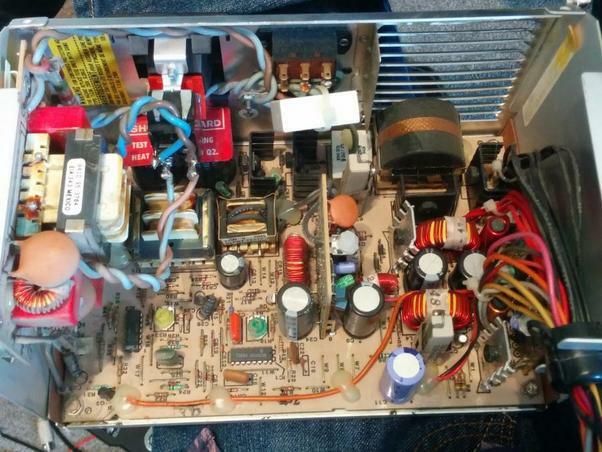 On a side note, replacing the filter capacitors in the power supply was a real hassle. The board is riveted to the case! Had to hacksaw it out as my drill wouldn't fit for the right angle to drill the rivets out. So now I've had to wrap the filter board in two layers of heatshrink tubing for insulation, and ziptie it all in place. Good news and good pictures! And of course, something's gotta go wrong. I'm not sure if it's user error or the computer, but when I run the Supersoft/Landmark diagnostics ROM, it doesn't run right. 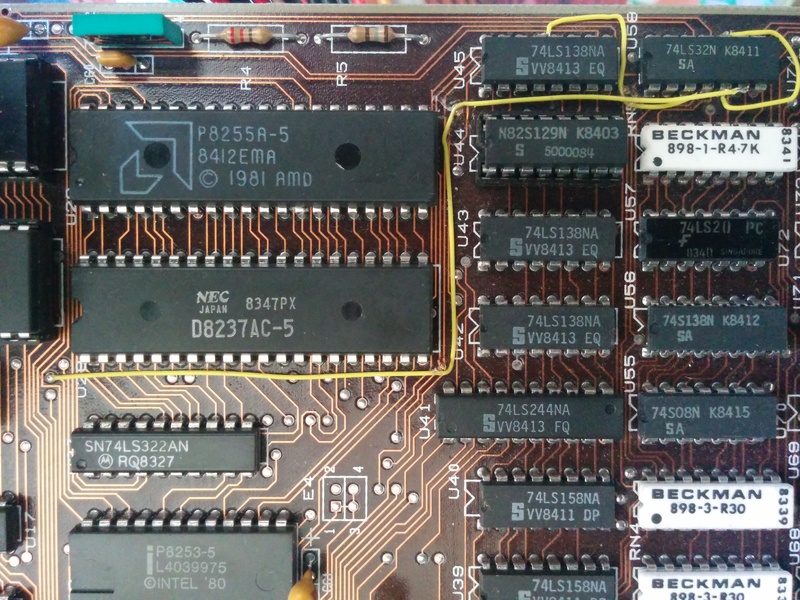 I've tried two PROMs, one old EPROM and a newer EEPROM, neither do much. Most of the time it does what's in the picture. Empty text windows, and a blinking smiley face in the top-middle of the top-right window. Once or twice it's done something different but 90% of the time it's that. I found a bad 4164 chip, as the computer was only counting 64kb of RAM. Now it sees the full 256k. Still getting the same fault after that too. 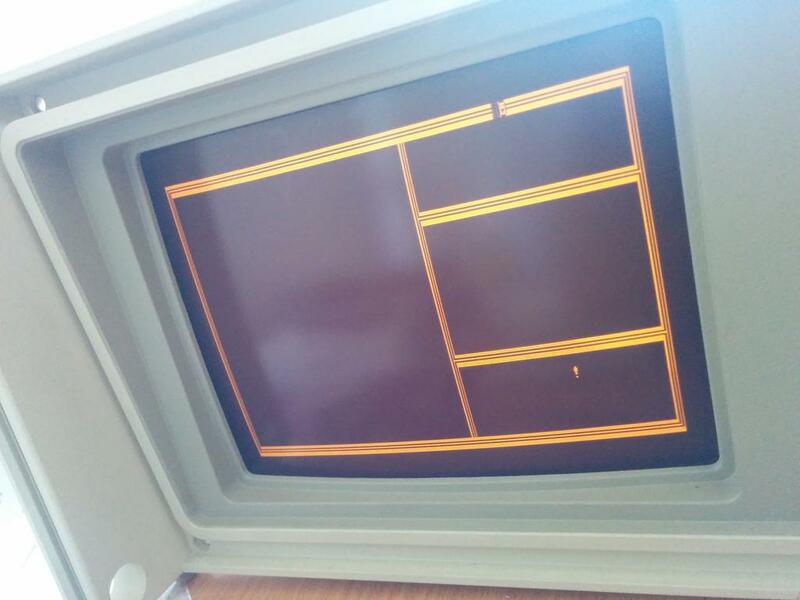 I added in the floppy drives and controller, and with them, it won't even start the diagnostics ROM. It just spins the A drive forever and shows a blinking cursor. EDIT: Tried a few different (E)EPROMs, and no change. Some of the chips on this board run amazingly hot, but I don't have much time behind a broken x86, so I'm not sure what to expect. 8088 gets to 40c, and the NEC D8237AC5 DMA controller is around 60c. However, I guess since I can get into BASIC and pass the POST ram check that it must be working? Never heard of a half working IC apart from a SID chip before! Figured it out. The stress of pulling the IC from the socket must've cracked the solder. Redid all the solder joints on U19 and U18 and it fixed it. Passed a few cycles of the diagnostic tests! Just chance that when I put the old U18 ROM back in, it all worked fine. Next up: write two new 27(C)256 eproms with the latest BIOS for the board, clean, relube and fix both floppy drives. One of the drives went pop and the other likes to stay spinning (albeit slowly) all the time. Investigating the warm chips some more, I found my 12v line is 12.32v. Seems a little high.. 5v is 5.013 so I'm happy with that. But the 8088 and 8237 are 5v chips, so it can't be the higher 12v rail causing them to get warm. The 8237 gets to about 45c and the 8088 gets to 38c. Ambient temperature is around 22c. People have mentioned the 8088 runs cold, so I'm not too sure what to make of it for now. Either way, I got the working floppy drive all cleaned up. Pressed new bearings into the spindle motor and main shaft and used silicone spray on the rails. I'll look at pinouts a little later but I thought I'd put this here for other people to see/mull over too.